Offered in LX, Sport and Sport Touring trims with options that include renowned Honda sensing technology, the all-new 2017 Civic Hatchback is better than ever before with unrivalled looks, amazing powertrain performance and its great efficiency. 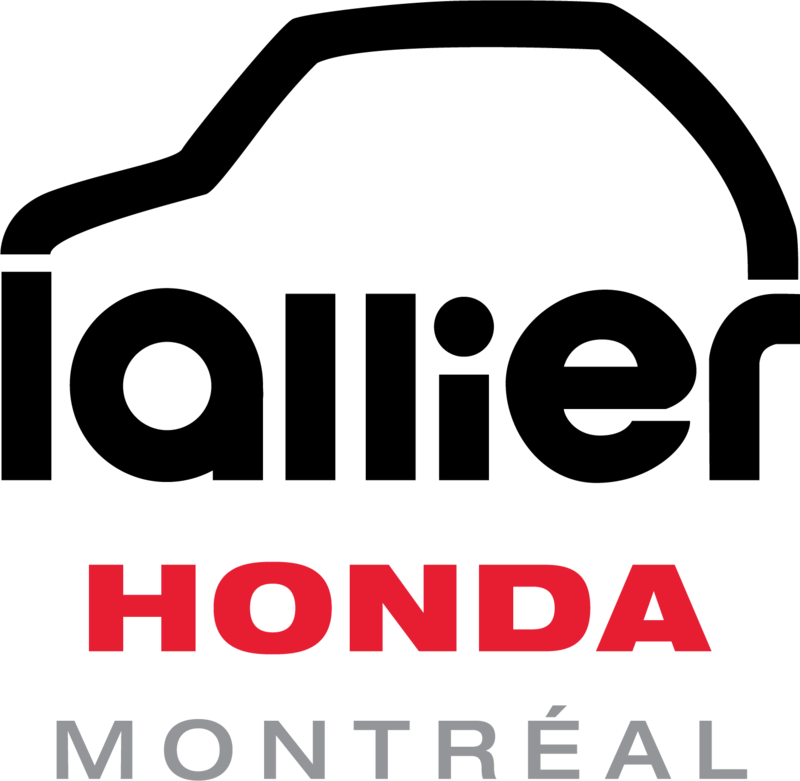 The Civic is more balanced than ever before, and now offers a powerful and innovative DOHC direct-injected turbocharged in-line four-cylinder engine that boasts impressive numbers, with 174 hp and 167 lb-ft of torque in LX trim, and 180 hp and 177 lb-ft of torque in the Sport and Sport Touring trim. A sporty and engaging 6-speed manual transmission comes with all trims, but buyers may also opt for an available continuously variable transmission. Sport and Sport Touring models equipped with this CVT also come with paddle shifters. When equipped with the CVT, fuel consumption is a competitive 6.9 L/100 KM combined (highway/city) on the LX and 7.3 L/100KM combined on the Sport and Sport Touring. The 2017 Civic Hatchback is built on the Civic’s rigid and lightweight body and advanced chassis design. Its striking European-inspired looks are complemented by stylish elements such as the standard body-coloured bumpers, body-coloured door handles, body-coloured rear roofline spoiler and a shark fin antenna on all trims. Moreover, the Sport and Sport Touring variants offer even more style, with standard dual centre exhaust with chrome finisher, fog lights, and a power moon-roof with tilt feature. Inside, the Civic offers loads of standard equipment, including heated front seats, a 60/40 split fold-down rear seatback, acoustic windshield and a 7" colour TFT centre meter display with Driver Information Interface. 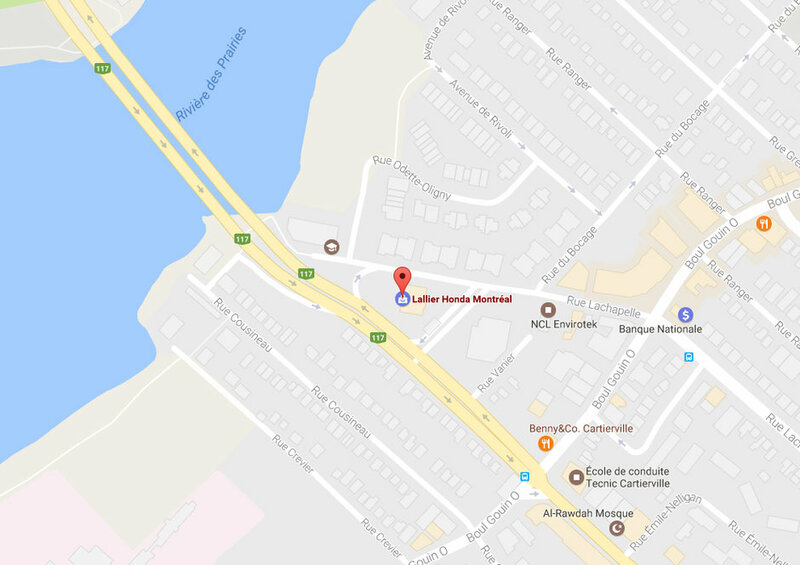 When the rear seats are folded, the cargo capacity of the 2017 Civic Hatchback goes up to 1308.8 L (compared to 727.7 L when the seats are up). All trims come equipped with Honda Display Audio, Apple CarPlay and Android Auto compatibility. 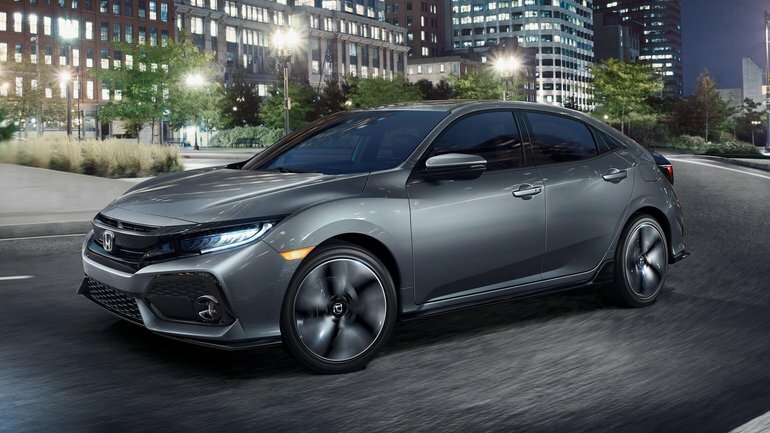 Safety-wise, the Civic Hatchback includes all the essentials and more, with standard 4-wheel Anti-lock Braking System (ABS), Brake Assist, Electronic Brake-force Distribution (EBD), Vehicle Stability Assist (VSA) with Traction Control and hill start assist on all trims. The Honda Civic Hatchback is more fun to drive and offers more style than ever before. 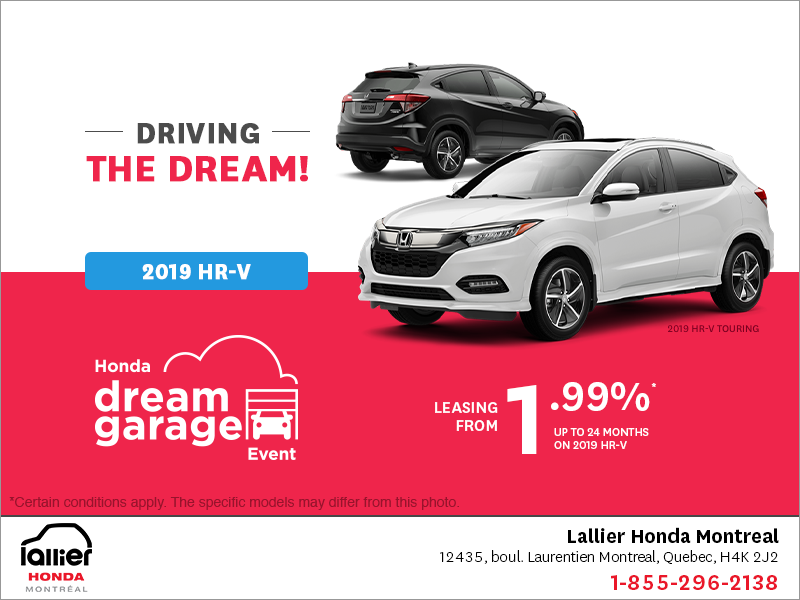 Come and see it this fall at Lallier Honda! Get a Quote Book a Test Drive!